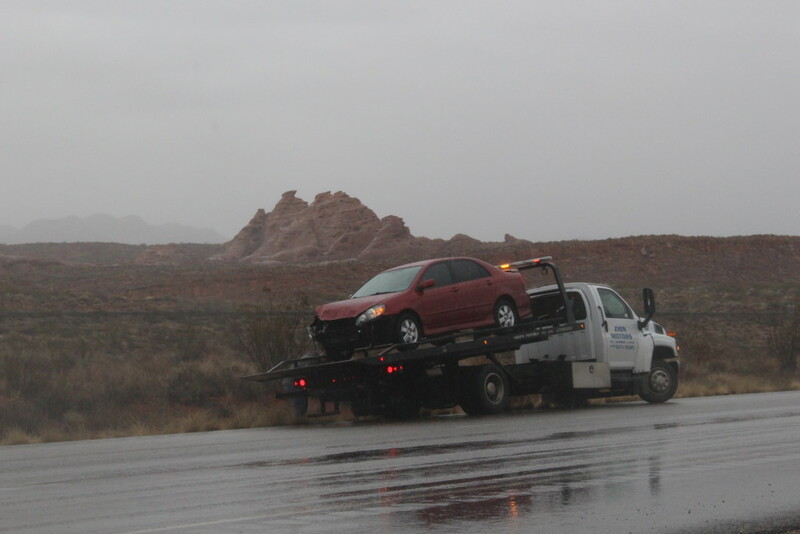 WASHINGTON COUNTY — Injuries were avoided when falling debris sent a vehicle spinning into a Washington County Deputy’s truck on Interstate 15 during a rainstorm Tuesday afternoon. 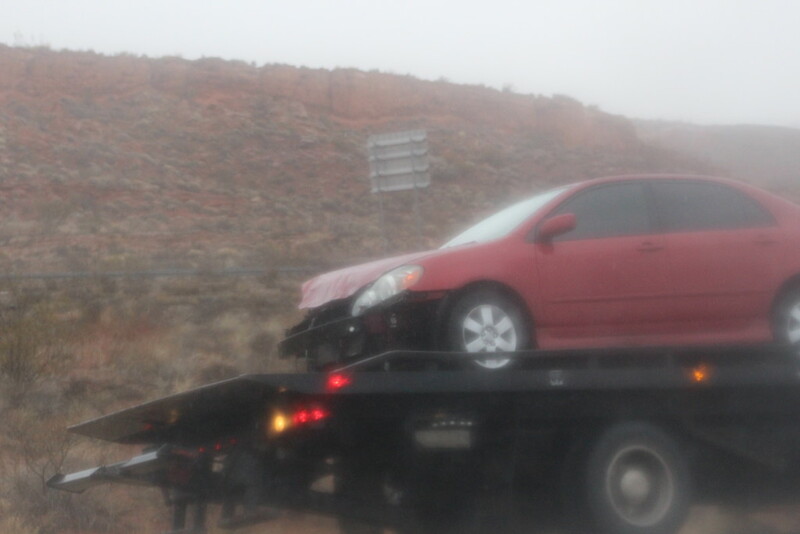 A red Toyota Corolla traveling northbound on I-15 near mile marker 15 went into a spin trying to avoid hitting a storage container that fell from the rear of a pickup truck traveling directly in front of them. 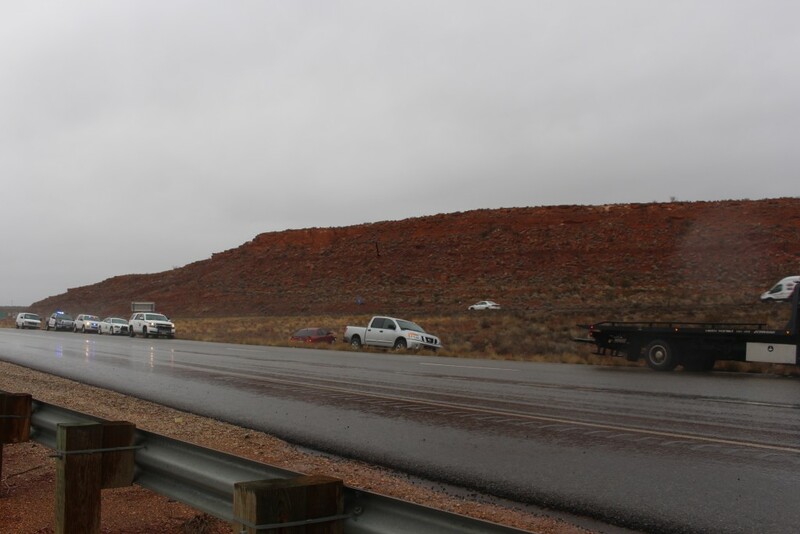 As the Toyota spun, it clipped the rear bumper of a Washington County Deputy’s service vehicle, a Nissan Titan pickup truck, sending both spinning before finally coming to a rest in the median of the Interstate facing different directions, Utah Highway Patrol Trooper Chris Terry said. The truck that contributed to the accident continued driving after the two vehicles collided. 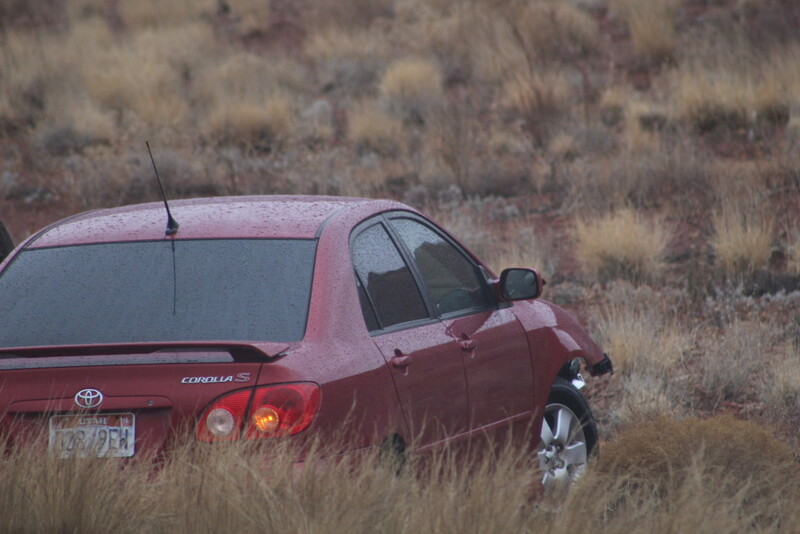 The heavy rain contributed to the accident as well, Terry said. 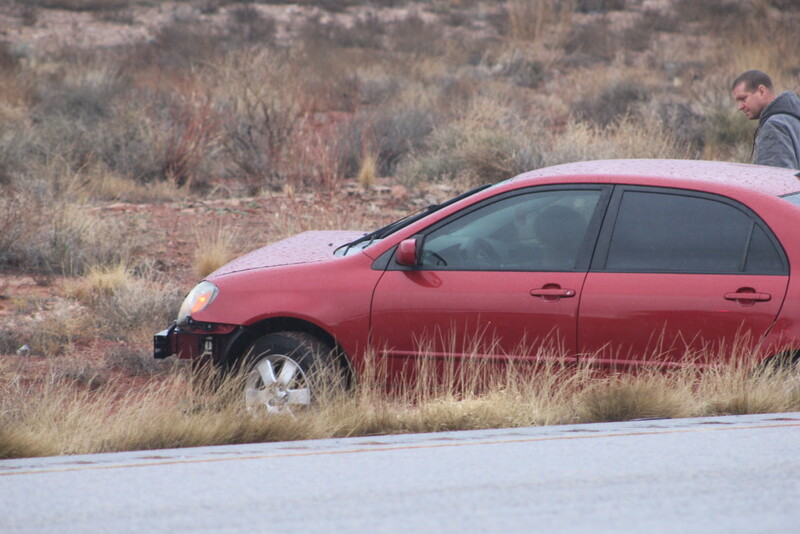 No injuries were reported and both drivers were wearing their seat belts. 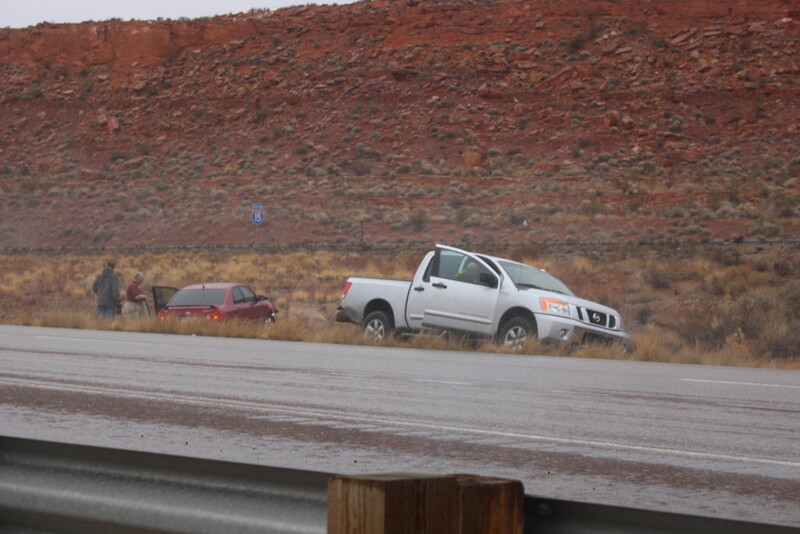 The Nissan Titan was driven from the scene, however the Toyota was disabled in the collision and had to be towed. Neither vehicle blocked the freeway, however traffic slowed as drivers pulled to the right to allow emergency vehicles room to tend to the accident. 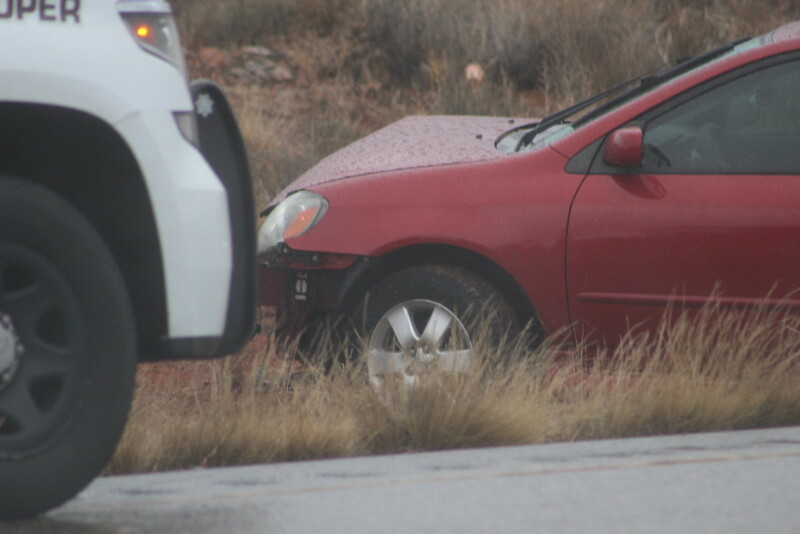 Utah Highway Patrol and Washington County Sheriff’s Office responded to the scene.